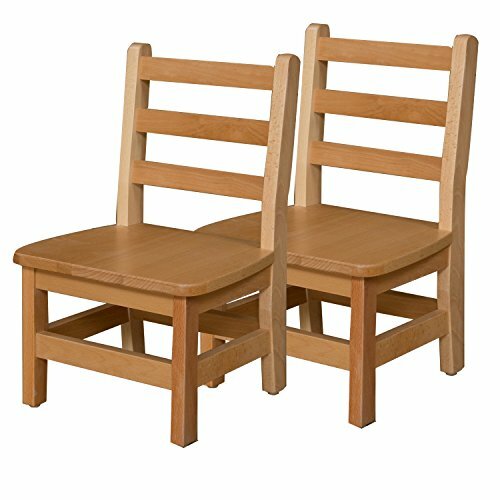 The Wood Designs WD81002 child's desk chair has a 10" seat height and measures 22 x 13.75 x 11.88 inches (H x W x D). (H is height, the vertical distance from lowest to highest point; W is width, the horizontal distance from left to right; D is depth, the horizontal distance from front to back.) This preassembled chair is Underwriters Laboratories (UL) Greenguard Gold certified for environmental safety and is suitable for use in an educational environment. If you have any questions about this product by Wood Designs, contact us by completing and submitting the form below. If you are looking for a specif part number, please include it with your message.